Cinco de Mayo (Spanish for “fifth of May”) is the perfect time to try out some new Mexican recipes. I had the opportunity to try out some Cinco de Mayo recipes in the new 200 Easy Mexican Recipes cookbook by Kelley Cleary Coffeen. We love Mexican food but I wanted the opportunity to try something more creative than takeout from a Mexican restaurant! From the recipes we tried in this book, I can now say that I am a fan of authentic Mexican dishes! Here I’ll share two recipes with you that are both easy to make and sure to impress your Cinco de Mayo party guests. 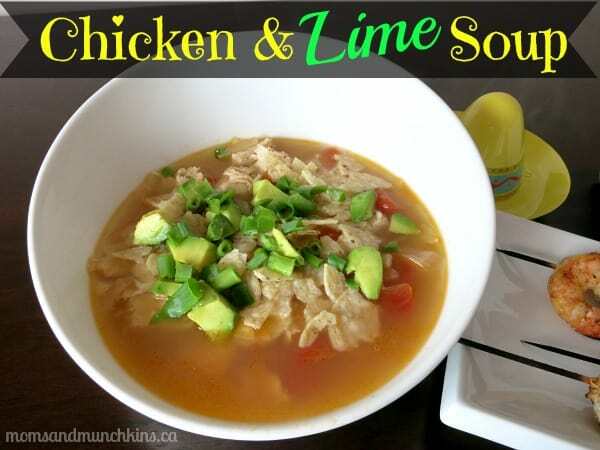 This creative mixture of ingredients creates a light tasting soup perfect as an appetizer or a main dish. A light tasting soup that's filling enough to be the main dish. Add chicken and cook, turning once, until no longer pink inside (6 to 8 minutes per side). Transfer chicken to a cutting board and let cool. In a large pot, heat remaining oil over medium heat. Add onion, garlic and tomatoes. Cover and cook until onion is softened (4 to 6 minutes). Add chicken broth and lime juice. Dice chicken and add to pot. Serve in individual bowls and garnish with equal amounts of tortilla chips, avocado and green onion. We loved the flavor in the Avocado Butter! I think it would also taste great as a unique topping on burgers if some of your party guests don’t like shrimp. 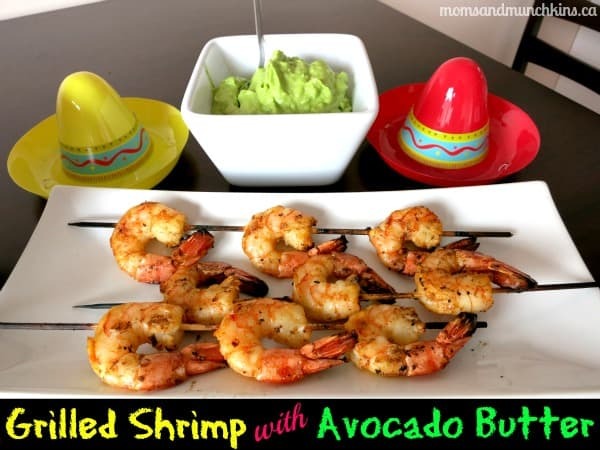 Quick to prepare and your guests will love all the flavor on both the shrimp and in the avocado butter. Avocado Butter: In a food processor, combine avocados, garlic, lime juice and olive oil and process until smooth. Serve immediately or transfer to an airtight container and refrigerate, stirring occasionally, for 30 minutes or for up to 2 hours. Shrimp Marinade: In a medium bowl, whisk lime juice, garlic, Creole seasoning, cayenne and oil until well blended. Add shrimp and toss gently. Cover and refrigerate for at least 30 minutes or for up to 2 hours. Meanwhile, preheat barbeque grill to medium-high. Remove shrimp from marinade and discard marinade. Thread 4 shrimp on each skewer. Grill shrimp, turning once, until shrimp are pink and opaque (3 to 4 minutes per side). Gently remove skewers and serve with Avocado Butter. 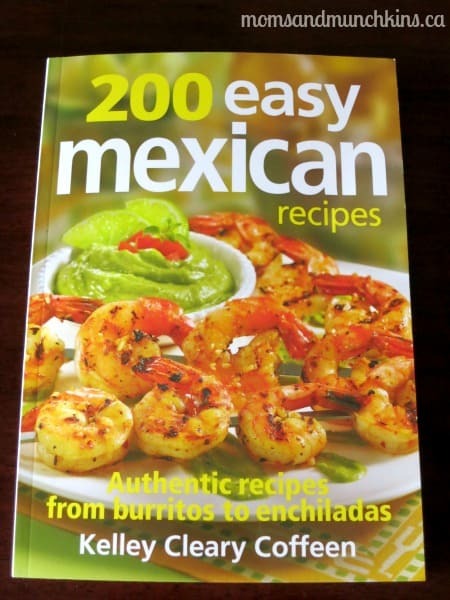 This cookbook is filled with delicious & easy to prepare Mexican recipes. Inside the book you’ll also find explanations of some of the commonly used kitchen tools and ingredients used in Mexican dishes. As for recipes, they have everything from appetizers and sauces to delicious traditional desserts. To purchase your own book, visit RobertRose.ca. For more delicious recipes, visit our Recipes page. Do you have any Cinco de Mayo recipes you’d like to share with us? Let us know in the comments below. For Cinco de Mayo activity ideas, visit our special Holiday Fun page and scroll down to the May holidays. *Disclosure: I received a copy of this cookbook for review. All opinions expressed here are my own. Thank you, these look great! I want to try the Avocado Butter, it looks so good!